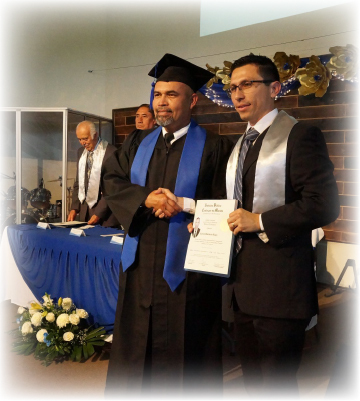 Every year, the Bible Institute graduation in Baja is special, as we watch these men and women take the next step in dedicating their lives to ministry and serving God. This year I was especially touched by the graduation because two of the graduates had been a part of Rancho de Cristo, our men’s drug and alcohol rehabilitation. I was deeply touched to think about the amazing grace of Jesus at work in their lives and how much they had overcome to arrive at this event. God is faithful and He still is in the business of doing miracles and transforming lives. Would you like to partner with us in renovating the Bible Institute? Click here for more information.